SV Parents: 3rd & 4th grade OSTP Testing begins tomorrow, April 2nd, and 5th grade begins Monday, April 8th. Please make sure your child gets plenty of rest and is at school on time. Front doors open at 8:45 a.m. Thank you! SV Friendly Reminder - NO EXTENDED DAY TODAY (3/28) due to conferences. Today is the last day for Early Birds tutoring. After school tutoring has concluded as well. SV Parents - Please note the correct date for pictures is tomorrow, March 26th. Sorry for the mistake. Thank you. SV Parents - Tomorrow, March 25th is picture day. Students are to wear their school uniform for these pictures. They will be taking both group and individual photos. Thank you. SV 5th Grade Parents: Reminder - Very important parent meeting at 5:30 tonight in the school auditorium. We look forward to seeing you this evening. Thank you! DO YOUR PART WITH A CARING HEART!!! During the week of Jan. 14th, students will participate in the LPSF Change Challenge. Students will bring change to school and their teacher will collect it. Proceeds benefit Lawton teachers and students!!! SV: NO COSTUMES TOMORROW!!! Thank you! Fall Break is Oct. 17-19. Enjoy your break and we'll see you Monday, Oct. 22. SV Parents: Picture Day is tomorrow!! Students may wear school appropriate FREE DRESS. Thank you!!! Parents: Student drop off and pick up is located at the back of the school. The front is for buses only. Reminder: Back to School Night is tonight!!! Come meet your teacher and drop off school supplies. Come-and-go at your convenience from 5-6 p.m.
S.V. parents: Check-in is tomorrow Aug. 1st from 8 to 4 and on Thursday Aug. 2nd from 10 to 6. Please be sure to come and check-in even if you were here last year. Old & new have to check in. SV parents: Check-in for returning students will be on Aug. 1st from 8-4 and Aug. 2nd from 10-6. Please bring updated shot records and proof of residency. Enjoy the rest of summer! LAST DAY OF SCHOOL!!! We hope you had a wonderful school year and have a fabulous summer. See you next year! FUN DAY is tomorrow, May 24th. The Pre-K Program will begin at 10:00 a.m. on Wednesday, May 23rd. 5th Grade Promotion will take place Friday, May 25th at 10:00 a.m.
Join us for our 1st Grade Program. The program will begin at 3:00 p.m., Wednesday, May 16th. Join us at Showcase. Sullivan Village will perform Tuesday, May 8. The show begins at 7:00 p.m. at McMahon Auditorium. S.V. parents: Just a reminder that we WILL have school tomorrow May 4th. Book Fair will be open 8:15 a.m. - 3:15 p.m. today and 8:15 - 11:30 a.m. Friday. Thank you for supporting our Sullivan Village Library!!! S.V. parents: Your child is bringing home a paper today that explains our severe weather procedures. Please be sure to read this paper so you are aware of how we will handle severe weather. This is just a reminder that the Rotary Track meet has been cancelled due to weather. S.V. parents: Reminder that the new hours of 8:30-4:15 start tomorrow. Our doors will open at 8:15 am. Please be at the bus stop 30 min earlier than normal. S.V. parents: Just a reminder that the new hours of 8:30-4:15 will begin on THURSDAY. The doors will open at 8:30 for students to enter the building. S.V. parents: If your child rides a school bus they will need to be at their stop 30 mins earlier than their normal time beginning on Thursday. S.V. parents: Just a reminder that Sullivan Village is a feeding site during the work stoppage. Breakfast is 8-9 & lunch is 11:30-12:30. REMINDER: There will be NO SCHOOL Friday, March 30th or Monday, April 2nd. Enjoy your Easter weekend!!! S.V. Parents- just as a reminder there will be NO extended day today or Thursday due to Parent/Teacher conferences. S.V. parents - tomorrow is picture day at Sullivan Village. The students ARE to wear their school uniform for these pictures. Thank you. Have a great night! Spring Break is March 19-23. Enjoy your break and we will see you Monday, March 26. Friday, March 16 is a Professional Day. NO SCHOOL for students. S.V. parents please make sure your contact info is up to date with the office for when the automated calls start on Monday. Notify us by 9:15 if your child will be out or late to avoid a call. Starting Monday parents will begin receiving automated notifications by phone and text when your child is absent or arrives after 9:30 am. Automated calls will be sent daily by 10:30 am. There will be NO SCHOOL on Monday, Feb. 19th in observance of President’s Day. We'll see you Tuesday, Feb. 20th. Thank you. No school Monday, January 15, 2018. Enjoy your 3-day weekend!!! SV parents: Construction is still taking place in front of the school. Morning drop offs and afternoon pick ups WILL continue to be behind the school until further notice. SV parent reminder: Due to construction please drop off and pick up students in the back of the school. Road construction will begin at Elmhurst and 40th on Monday. The construction will block off the road for a month. Due to this ALL parents must drop off and pick up behind the school. Our Book Fair is here!!! Open Monday-Thursday from 8:45-3:15. Friday - 8:45-11:30. We will also be open for Family Night Tuesday, Oct. 3 from 3:45-6:30. We will close at 5:30 for the PTA Meeting. BOOK FAIR! April 27-May 4. We appreciate your support of literacy. Author/Illustrator Janet Stevens is coming to visit our school, April 5! Keep an eye out for information on how to get her AUTOGRAPH on your very own Janet Steven's book! 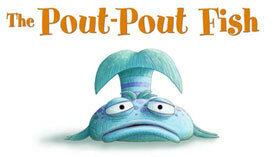 Pout Pout Fish Performance-Friday, February 17, 2:30pm. Classes of Bates, Conner, Jennings and Washington. 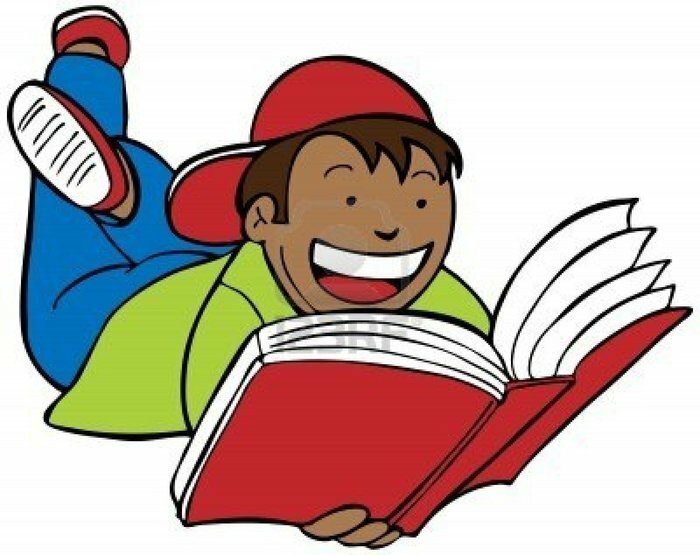 FINAL AR Party of 2017-March 10-READ, READ READ!